Bushra al-Fusail called on women to ride their bikes through the war torn capital to protest against the ongoing conflict. Amidst bombings and shortages in fuel, food and vital supplies, a group of Yemeni women came together for an unconventional demonstration against the war... and the lack of women’s rights. 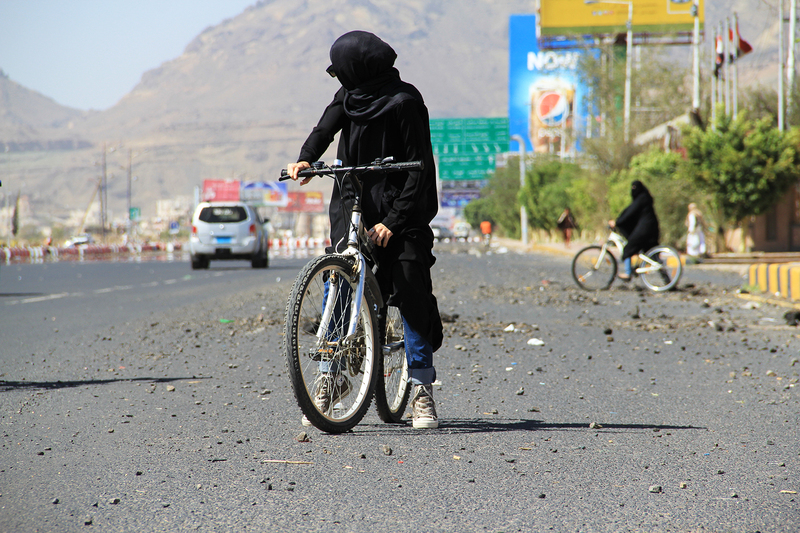 However, to demonstrate the women’s rights in the country, the photos of women on bikes caused a storm locally; with many previous supporters withdrawing their support, while many men and women posted angry comments on their social media page, blaming the organizers for destroying the social fabric of Yemeni culture. Some said that the participants were not true Muslims and they were importing western values into Yemen society. Others messaged the organizer – Bushra - personally to say she was not a ‘real’ woman - since a woman cannot ride a bicycle. A few people even said that women riding bicycles is far worse than the current war.